The new 20 acre, 349 Evelyn home project in West Vancouver real estate market has been saved by The Onni Group. Originally marketed by the Millennium Development team, the company defaulted on their $72M mortgage and was then acquired by The Onni Group to see through this fantastic new project. The West Vancouver Evelyn by Onni homes for sale will range from spacious one bedroom suites to amazing three bedroom family sized residences and the total cost of the project is projected to be around $400M, making it one of the largest master planned neighbourhoods on the North Shore this decade. In addition, the West Vancouver Evelyn by Onni homes for sale will be situated north of Park Royal Shopping Mall (called Sentinel Hill) and will take approximately 7 years to build out. In addition to the condominium/townhouse residences, the new Evelyn West Vancouver real estate development will also feature single family detached homes for sale on the site, which makes it an even more appealing choice for downsizers looking for maintenance free living within the city. The pre-sales is expected to start right about now, and the approximate price point will be somewhere between $700,000 to around $1.7M here at the new Evelyn West Vancouver homes for sale. For more information, please visit www.onni.com/evelyn/ today. Situated within a natural rise along Sentinel Hill and within a natural green space, the Evelyn West Vancouver real estate project will also offer home owners a close proximity to the wonderful amenities of this high-class city. Every home at Evelyn West Vancouver luxury homes for sale has a southern orientation and large, private terrace ranging from 640 – 1,720 square feet. These West Vancouver Evelyn home terraces were designed with the intention of giving homeowners the feeling of stepping out into a private backyard. Creating a community > Evelyn West Vancouver real estate’s unique landscape architecture places a large emphasis on bringing people together and by doing so, creating a community in the true sense of the word. A number of pathway systems running up, down and across the site link together creating a network of trails and gathering places where people can meet and connect with one another right here at the luxury West Vancouver Evelyn home development. 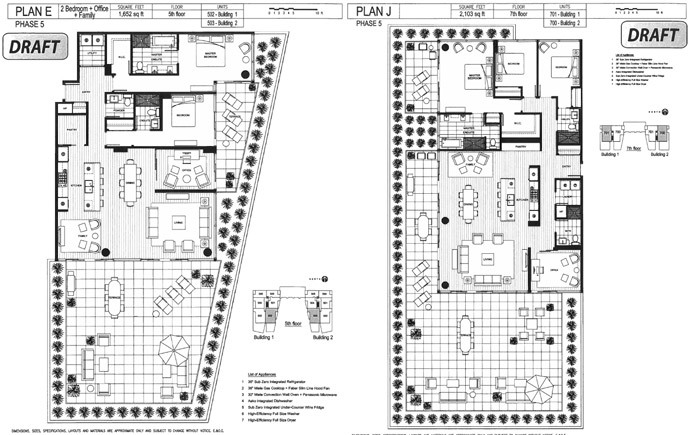 Evelyn’s residences range in size from 935 – 2,005 square feet and are now selling from $769,900. Watch the interview below with Evelyn West Vancouver’s landscape architect. Real West Coast modern architecture graces the design of the exciting upscale West Vancouver Evelyn by Onni home development along Sentinel Hill. Here, you will find design that makes use of natural materials native to the area, which includes a beautiful blend of woods, slate, stones and colours. The landscaping at the West Vancouver Evelyn by Onni homes for sale include heritage and additional trees, tranquil gardens, water features, inviting walkways, paths community linkages and footpaths to Park Royal Shopping Centre. In addition, the luxury West Vancouver Evelyn Homes by Onni will feature a complete selection of urban amenities/services and shopping in addition to great schools, beaches, waterside parks and walking/biking paths, not to mention a close proximity to all of the North Shore Mountains for outdoor recreation options. There is plenty of parking for cars and bikes on site too. The beautiful luxury West Vancouver homes for sale at Evelyn by Onni will also feature very spacious south facing terrace decks with landscaped framed edges that will range in size between one hundred to 1600 square feet in size depending on the floor plan and situation within the property. This allows for homeowners to extend their interior living space outwards. Sustainable design principles have been developed to guide the design and construction of Evelyn West Vancouver eco-friendly homes for sale by the Onni Group that includes a storm water management system for self irrigation and the preservation of the green spaces that are beautifully designed throughout the property. As far as security is concerned, the new luxury West Vancouver Evelyn homes will be designed using CPTED principles with vibrant and well lit public spaces in addition to neighbourhood watch. The materials used in the construction of the luxury West Vancouver homes for sale will come from local, remanufactured or recycled materials wherever possible. In addition, the West Vancouver eco-friendly homes at Evelyn by Onni will be designed to reduce total energy and water consumption and equipment/appliances selected will be truly energy efficient. Other great features in the kitchens of the West Vancouver Evelyn by Onni luxury homes include a 1.5” thick honed granite or stone countertops with breakfast bar overhangs, custom made flat panel wood cabinetry with custom wood cables and accent lacquer panel uppers and bar backs. The kitchens at the Onni Evelyn luxury homes will also feature soft closing mechanisms on all doors and drawers, under cabinet puck lights, recessed pot lighting, Dornbracht or Kohler polished chrome faucet, garburator and double bowl stainless steel zero radius under mount sink. 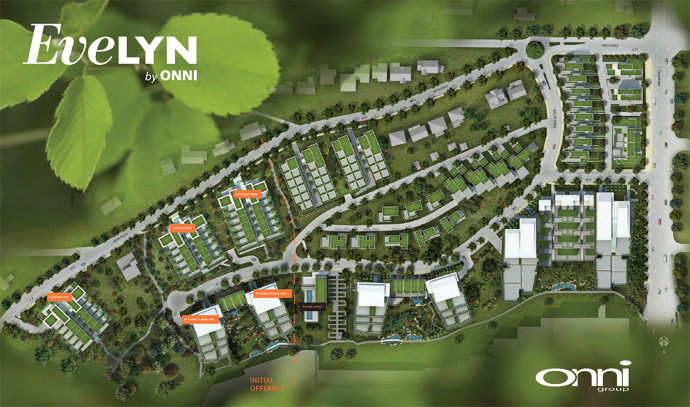 Evelyn is West Vancouver real estate’s newest master-planned community located on 22-acres of garden property. Situated on Sentinel Hill, West Vancouver real estate’s most accessible residential neighbourhood, the site is just north of Park Royal Mall. Once complete, the new West Vancouver Evelyn home development will be home to nearly 350 west coast modern residences, two direct connections to Park Royal mall and a system of walking trails. Now Selling from $759,900. The preconstruction West Vancouver Evelyn’s spacious, single-level concrete residences feature Sub-Zero and Miele appliances, Control4 home automation, natural stone countertops, wide-plank hardwood, Nuheat electric flooring in the bathrooms, and forced-air cooling. Spacious Evelyn West Vancouver luxury homes range in size from 925 – 2,110SF. 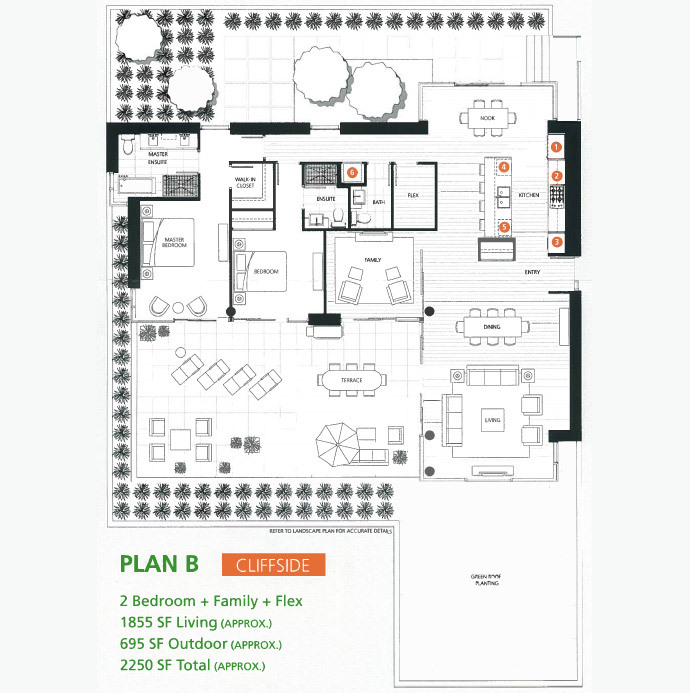 Visit the Evelyn website to gather more information and view the spacious floorplans. Also, the preconstruction West Vancouver Evelyn’s west coast modern homes feature large windows, expansive terraces and are all oriented south to maximize the sun’s exposure while blurring the lines between indoor and outdoor living. 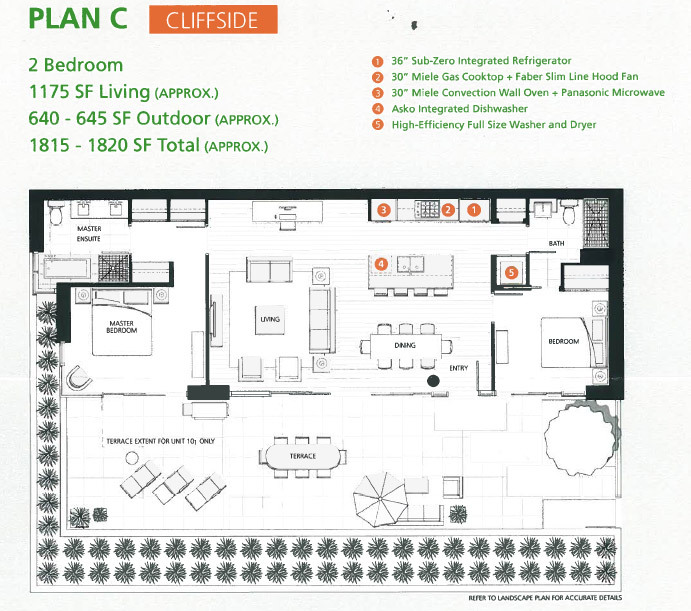 > West Vancouver Evelyn Townhomes > Plan TH is a 2 Bed+Den/2.5 Bath Layout over 3 Levels (bottom floor is attached single garage plus storage) There are 4 Evelyn Townhomes. The luxury West Vancouver Evelyn condominiums are located in the Sentinel Hill neighbourhood of this most desirable community in the Greater Vancouver area. Situated just north of Park Royal Shopping Centre, the Evelyn West Vancouver condominiums will be within walking distance to all local services and conveniences, big box retailers, boutique stores, restaurants (casual and fine dining), entertainment, the beautiful waterfront as well as major transit routes including the Lions Gate Bridge which will take you to downtown Vancouver in less than 15 minutes. The Sentinel Hill West Vancouver real estate district is truly affordable and has been reinvented by this new Onni development. The project will take up to 7 years to complete and by the time the community is finished, the area will look and feel completely different.